Good morning Peeps! This is Becky and it's my turn on the blog this week. This month I worked with the new Authentique "Carefree" collection. 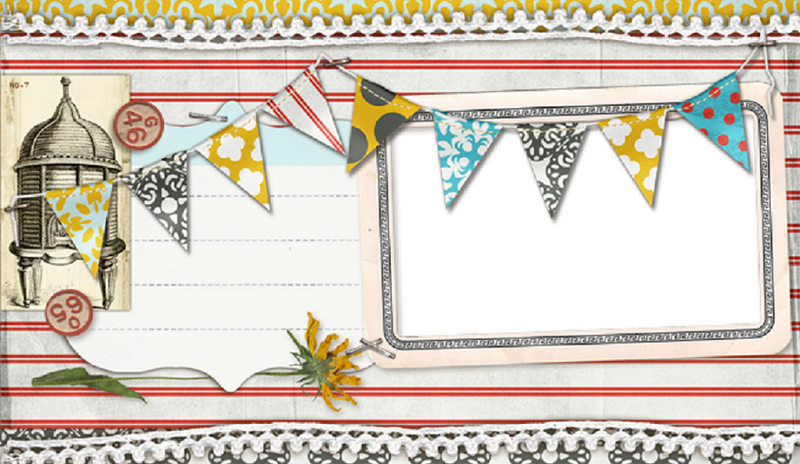 This is a fun new line that is great for picnics and any other summery activities you have planned. One of the projects I made this month was this card. My goal this year is to make a card using the leftovers from any project I make. So far, so good! 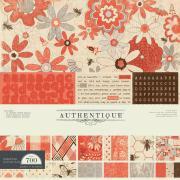 Authentique Carefree collection - "Relaxed," "Easygoing," "Content"
Even the names of the papers make me happy! I made this 6x6 card using a piece of brown cardstock. I layered the printed paper and added stickers from the Details sheet. I finished the card by making these pinwheels. I'll explain a little more about how I made those with my next reveal tomorrow. So stay tuned! What a totally cute card! I love the pinwheels and now must wait 24 hours before learning the secrets behind their creation.